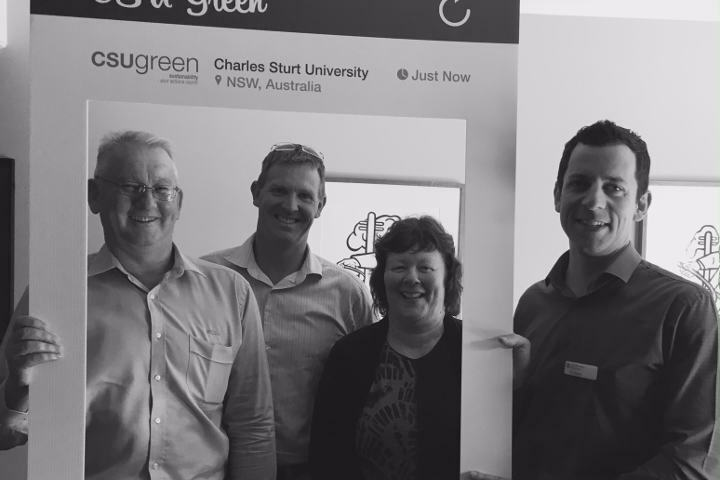 Procurement, and increasingly sustainable procurement, is a key area of change at CSU. This is becoming a key mechanism for policy delivery and cost reduction. Institutions spend millions of dollars each year undertaking capital projects and buying goods and services. Increasingly, CSU is making spending decisions and adopting procurement policies through a sustainable lens. Like CSU, many institutions are leading the way in protecting biodiversity and using natural resources efficiently, with minimal waste. Our spending decisions are an important instrument in tackling climate change both by reducing carbon emissions and ensuring that buildings and infrastructure are resilient to changes in our climate. demonstrating real leadership by setting examples for corporate and private consumers. Change public perception and awareness of climate change. This framework was benchmarked on 16 November 2016. This graph indicates our progress toward best practice across the eight activity areas for this framework. 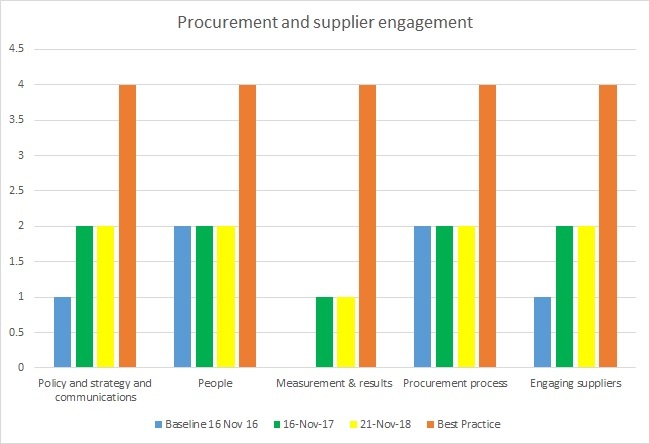 The below graph illustrates our progress towards best practice across the five (5) activity areas. The orange bars reaching four (4) highlight best practice and the lower bars in yellow indicate CSU’s current baseline ratings (2018).